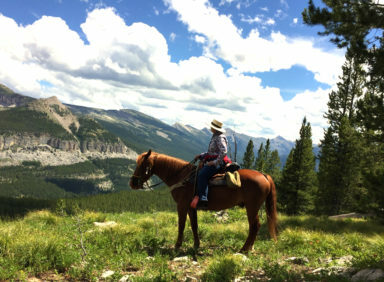 Location is geographically in the heart of the Bob Marshall Wilderness. 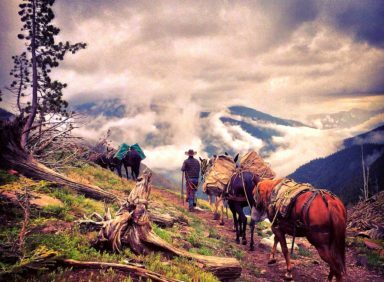 The Bob Marshall Wilderness of Montana is the benchmark of the American Wilderness System. 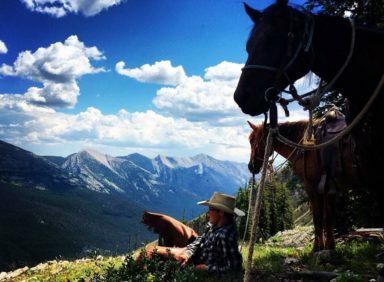 It is the biggest wilderness complex in Montana, and one of the largest in the United States. 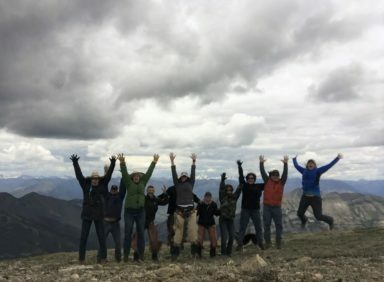 We headquarter in Augusta, Montana, guiding Montana pack trips from Benchmark trailhead on a regular basis, through the Sun River Game Preserve, over the Continental Divide, and in to the White River, Danaher and South Fork of the Flathead River drainages. 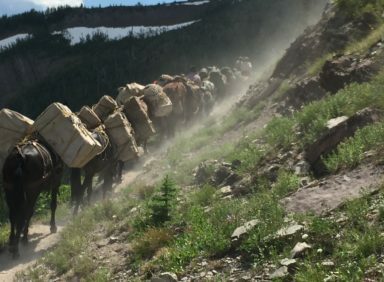 The center of our wilderness operation and pack trips is a base camp in the White River, just four miles from the Continental Divide. 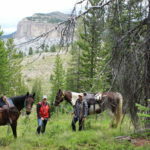 This camp is in close proximity to many well-known landmarks including the Chinese Wall, Needle Falls, Flathead Alps, Big Salmon Lake, Gladiator Mountain, Haystack Mountain, Turtle Head, Flat Iron and Cliff Creek. 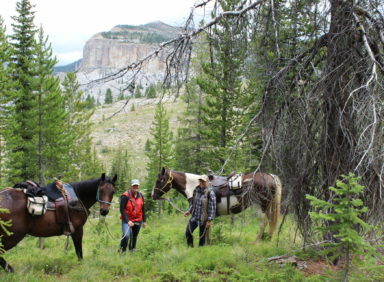 There are many other areas of interest nearby that not are not known as well, such as the “Lost World of Peggy Creek” offering an indescribable landscape. 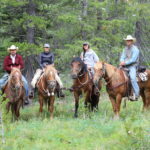 This area affords good opportunities to see Montana wildlife in one of the most natural strongholds in North America. There are also many opportunities to fish for native cutthroat, both big and small. See also our White River fishing trips. For those folks looking to experience other areas in the Bob Marshall Wilderness, we do offer customized trips. Please contact us for options and detail. The first day of your trip you will arrive at the Benchmark trailhead just after daylight, either shuttled by us or driving your own vehicle, depending on your needs. 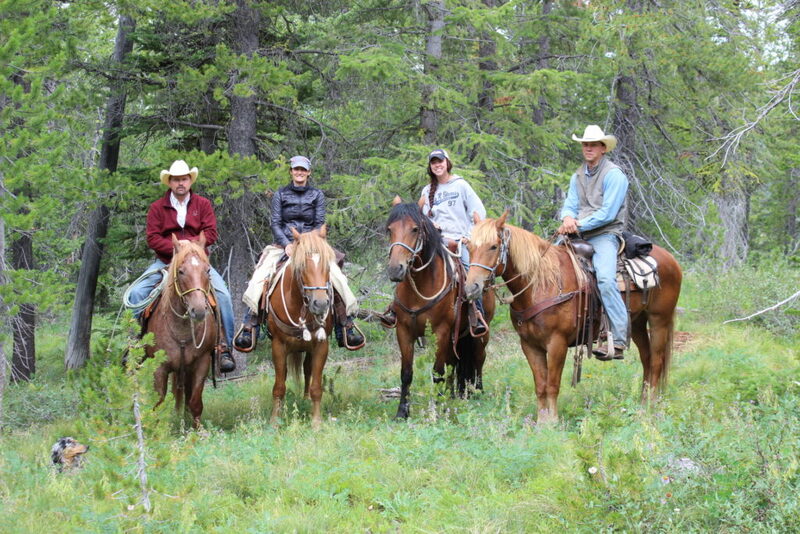 After an introduction to safe horsemanship, you will be introduced to your horse for the trip. 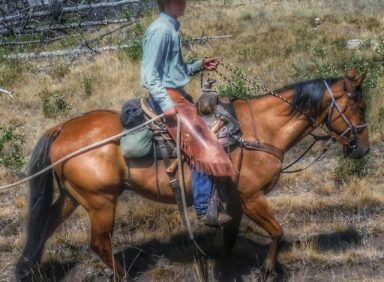 Riders are matched as closely as possible to their mounts according to individual skills, size and ability. Our stock is always being complimented on their good nature and gentle manner. 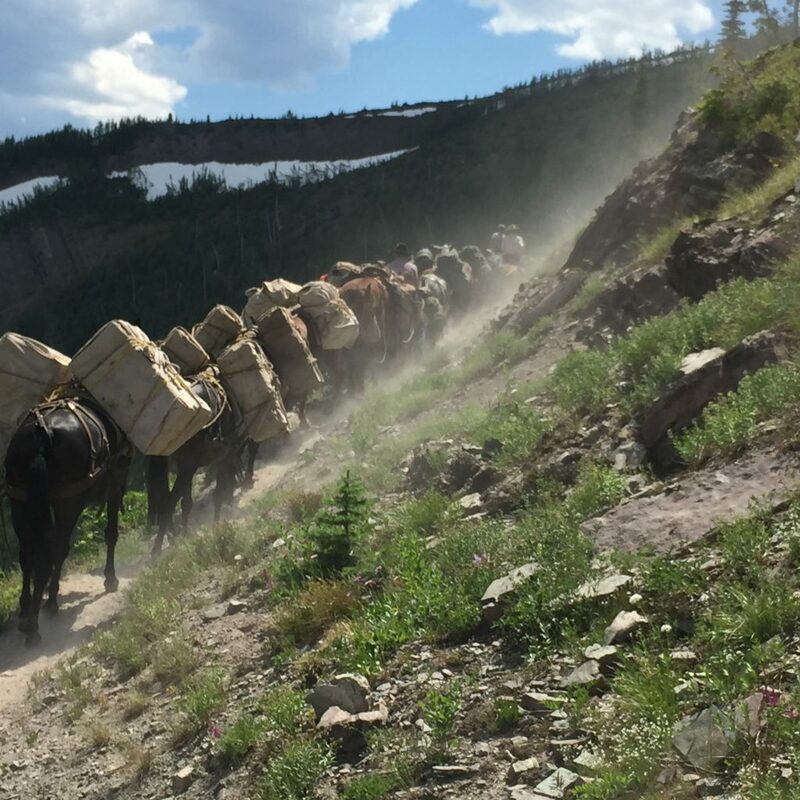 We try to have guests mounted and on their way to an amazing Bob Marshall Wilderness adventure by 8 a.m.
We cross the South Fork of the Sun River via the pack bridge, then cross the West Fork pack bridge. Quite often we see elk, whitetail deer and mule deer along this stretch of the trail while the dew is still on the grass. We often stop for lunch near Indian Creek. After lunch we saddle up and start the ride up Indian Creek. This is an especially scenic area. On most trips in late July to mid-August, bears can be seen from time to time, feeding on the berry crop across the drainage. This is also a good area to see mountain goats. 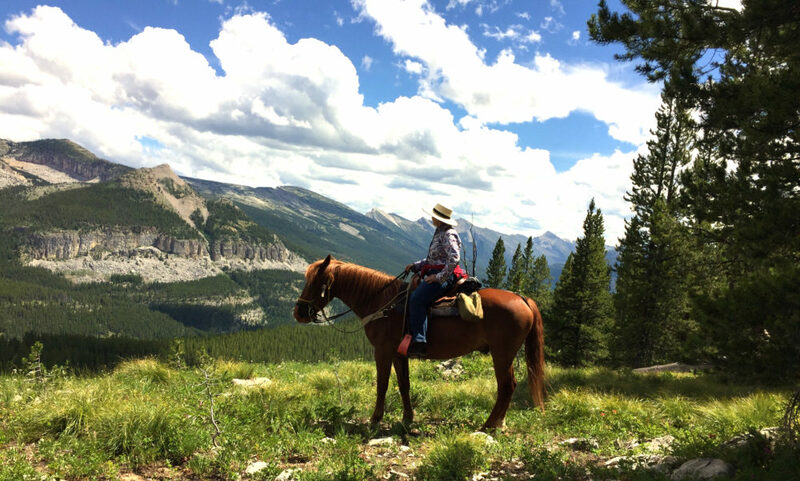 The scenic trail ride climaxes on top of the Continental Divide which is also known as White River Pass. From here it is approximately five miles down to our camp, and a well-deserved rest after the 22 plus mile ride. The second day of the trip is a good time to get familiar with camp and the surrounding sites. As the horses have worked hard getting everyone into camp, they are turned out for the day to eat and rest. 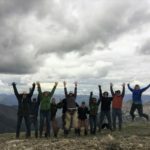 Our camp is located at the nexus of the White River and South Fork of the White River, almost the exact geographical center of the Bob Marshall Wilderness. 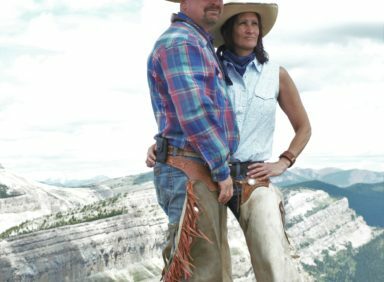 The White River is approximately 150 yards from camp and affords some of the best Montana fly-fishing. This is a great river for the novice or expert fly fisherman. If you do not wish to fish, you can go for a scenic hike right out of camp, take a sun shower, and watch the deer feed in and around camp most anytime. 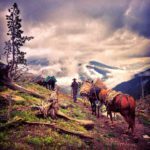 For the next four days there are many horseback rides offered and arranged to fit both the personal and group desires, as well as weather conditions. 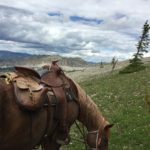 These days offer rides such as the South Fork of the Flathead River. It involves a 6 mile ride (one way) river grade trip, Montana fly fishing and swimming in the river. 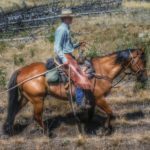 On the way we may see wildlife, take pictures, pick out the profile on “Scarface” Mountain, and enjoy getting reacquainted with your horse. After returning to a delicious meal, campfire talk, and good company can be enjoyed to fill any evening. 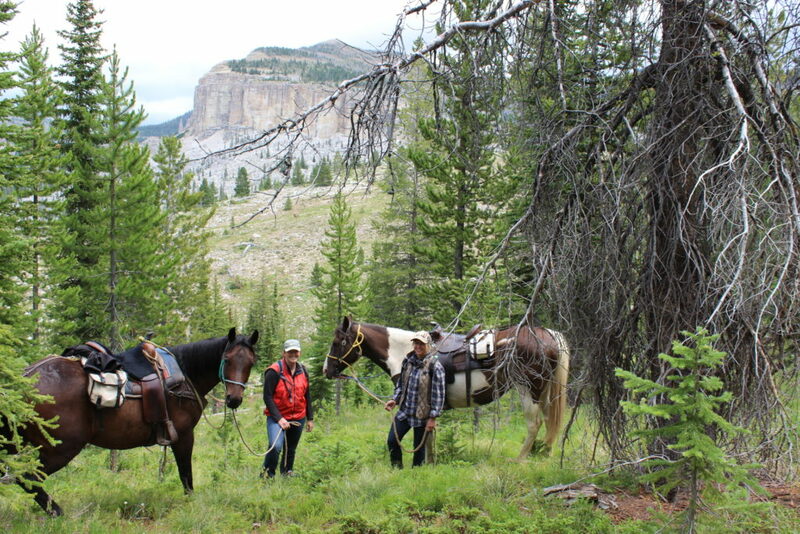 Another popular trail ride is to the “secret” in Montana known only as “The Lost World”. This place is a remote valley, inaccessible from most directions, and then only by an unmarked trail. 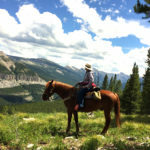 Many times, mountain goat, elk, big horn sheep and mule deer can be seen. This place gives the feeling that you are on the moon. As the terrain seems to be predominantly rock. On the way we will pass Needle Falls, where the mainstream of the White River appears to pass through the eye of the “needle”: a hole in the rock that in recent times formed a natural bridge. By late afternoon we should be back in camp with time to swim, hike or fish after dinner. 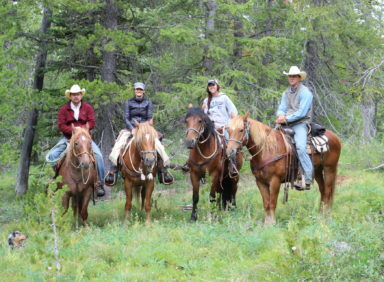 Haystack Mountain……is the most popular day ride of all. 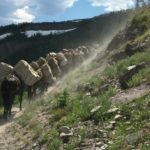 The ride is just four miles up the trail from camp, on Haystack Mountain, leading to the Chinese Wall. This is an OVERPOWERING sight, as the mountain appears to have been cut off with a huge knife, some 1,400 feet from top to bottom. This is the Continental Divide. The general area is also referred to as the “over thrust belt”. Often we see bighorn sheep, mountain goats, and sometimes a herd of elk can be spotted in the valley below. 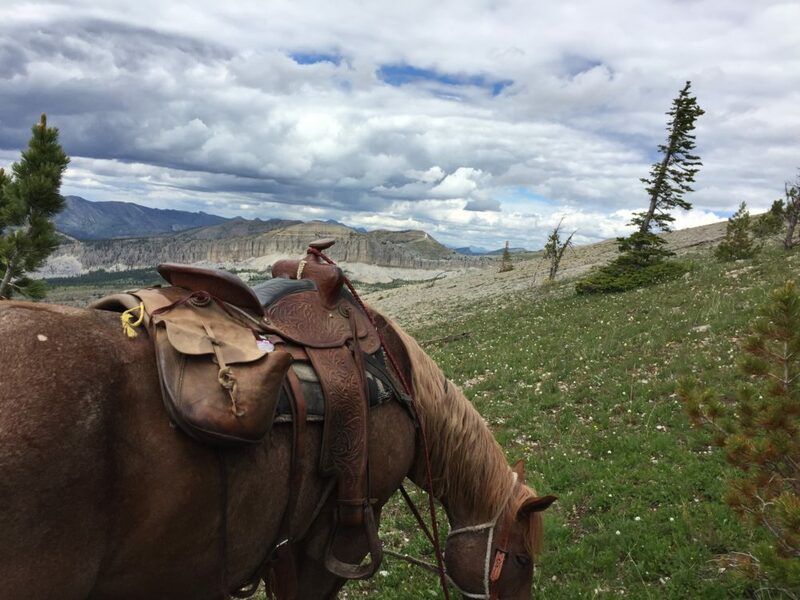 If you like mountain scenery, you will love this place as it is set in the midst of a panorama of the wildest places in the continental U.S.
Rampart is a great ride to take on the last day spent in White River. The ride is very scenic and one of the easier rides. We cross over to the west side of the White River and go up onto Rampart Mountain, ride through the timber and across “the drum” where you can hear the echo of your horses’ hooves, as the mountain is hollow. From there continue on to the “upper tie up” and have lunch while looking across to view, Haystack Mountain, Gladiator, Amphitheatre, Moccasin Butte, Cliff Mountain, Flat Iron and Turtlehead. All of which are AWESOME sights of the Bob Marshall Wilderness. These are just a few of the most popular rides. A person could spend weeks in the base camp and not cover all of the amazing rides and sights. On the seventh day we begin our day as early as possible to head back out to the Benchmark Trailhead. The same trail is taken on the way out, but somehow the ride looks much different. It is just as beautiful!! We should be back to the Benchmark Trailhead by late afternoon and in to Augusta around 6 p.m. Our suggested gear list may be viewed on the web site. We offer free airport pickup and return to Great Falls. Flights need to arrive in Great Falls no later than 2 p.m. the day before the trip. If driving, you must arrive in Augusta no later than 3 p.m. After booking, we will send you hotel information for the day prior to your trip and the evening you ride out of the mountains. Meals are provided beginning with lunch on day one and through lunch on the last day. We are unable to accommodate riders weighing over 250 lbs. Ready to join us in the Bob Marshall Wilderness? Take a look at our rates and available dates. 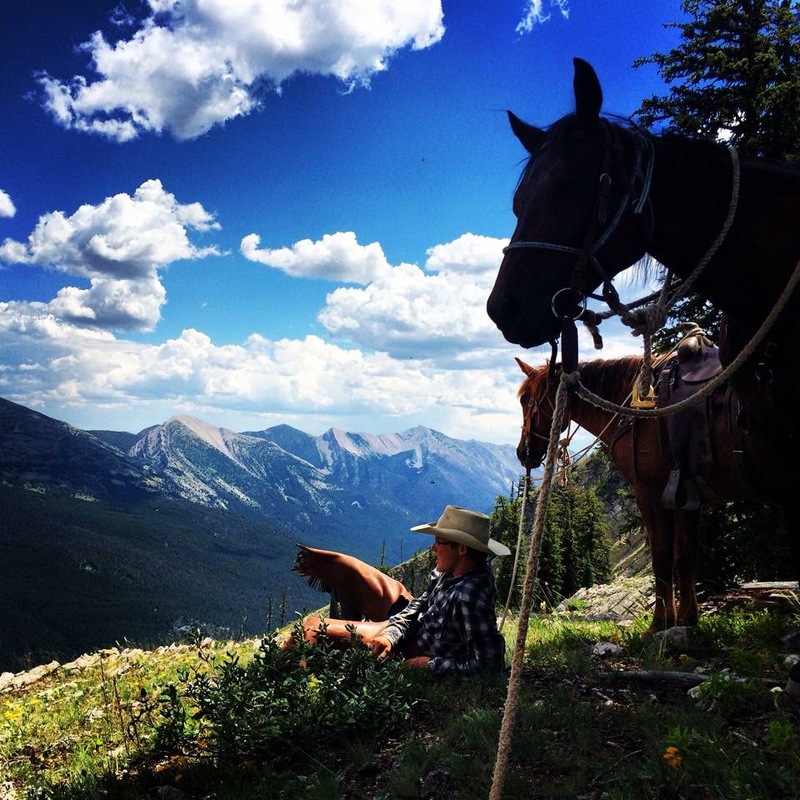 Great horses, great food, beautiful camp and overall indescribable experience, I can’t wait to come back!